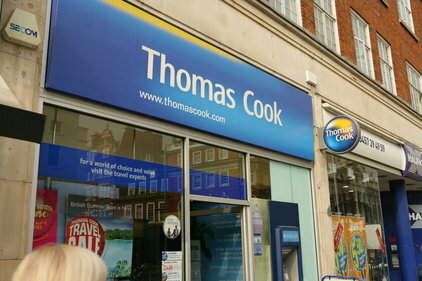 Tour operator Thomas Cook has appointed Jenny Peters to a newly created role of group head of comms. Jenny Peters takes on internal comms and external PR across all of the travel company’s global offices, which span seven markets including north America and western Europe. The company, which issued profit warnings last year and reported a pre-tax loss of £712.9m for the six months ending 31 March, has made the move as part of a major management restructure designed to re-energise its business. Peters reports to Harriet Green, the company’s new Group CEO, who was brought in during July. Both were formerly at electronics company Premier Farnell, where Peters was head of corporate communications. Peters’ role was previously undertaken by Pete Constanti, Group CEO Destination Management, who has relinquished this part of his function, and taken on a new additional role as the group’s first Chief People Officer. Reporting to her are group director of PR, Bronwen Griffiths-Barrasso and group head of internal communications, Vicki Burwell – who previously reported to Constanti, now report to Peters. Other major changes include the appointment of a new chief executive for UK & Continental Europe Peter Fankhauser, formerly of Continental Europe.